BARCELONA: A Spanish court on Monday slapped Barcelona centre-back Gerard Pique with a fine of 48,000 euros ($54,000) for driving without a valid licence. The 31-year-old, who arrived at the Barcelona court dressed in a grey sweatshirt and wearing a wool cap in the company of his lawyer, accepted the sentence for breaching Spain's driving laws at the hearing. He left the court smiling but without speaking to the press. Pique was stopped by municipal police in Barcelona as part of a routine check and was found to be driving without any points on his licence. In Spain drivers licences operate on a system of points, which are deducted for any traffic offences. A driver who is left without any points will have their licence suspended for six months and must attend a course on traffic rules to recover it. 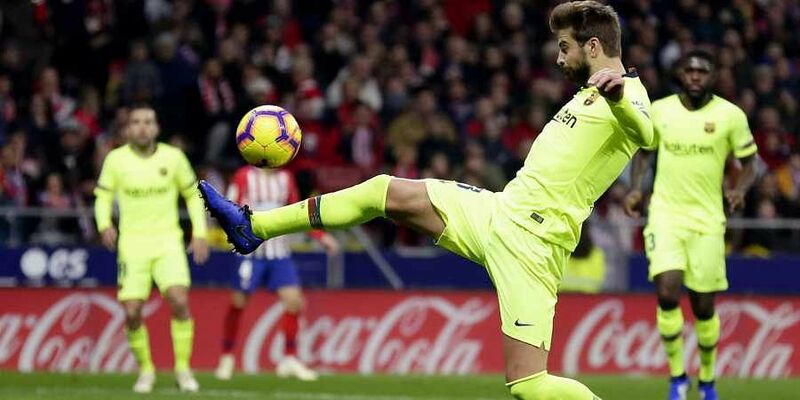 Pique could have recovered his drivers licence in June 2018 but he did not attend this course so his licence remained suspended in August when he was stopped by municipal police, according to the court ruling.